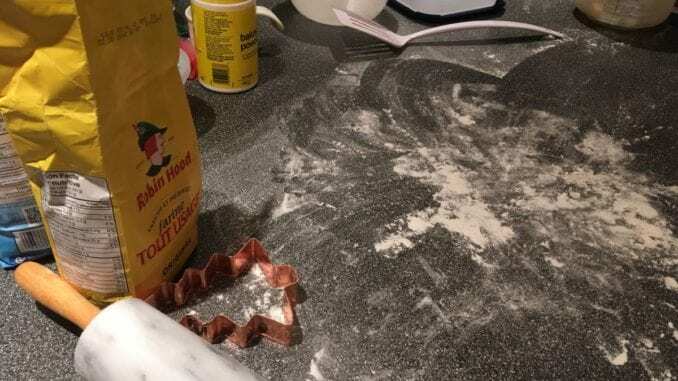 Mom and Dad had some explaining to do after the Dueck children found them in a state of disrobe and completely covered in flour when they were dropped off at home by grandma. Mr. Dueck was quick to confirm his wife’s explanation of the situation. The kids were reluctant to try the finished product and Mrs. Dueck quickly steered the conversation in another direction when the topic of the spatula was raised. The Dueck children vowed not to eat any Christmas baking this year and wondered amongst themselves just when Mom was going to announce the arrival of their new baby brother.